Settling in. Week number five now. It takes awhile to feel the spirit or spirits of a new place. At first, there is too much bumping into boxes, walls, door jams to hear the stories here being narrated by ghosts and choreographed by shadows. I lie awake at night and listen to new noises. Which noises are normal and which are not? Gurgling of pipes, creaking, knocking, scratching of branches, flutter of wings against the window. During the day there are hummingbirds hovering over the purple-blue morning glories. Outside the window, the night sky is as inky dark as it gets and I cannot tell what is out there. Suddenly a light goes on. Is it an automatic light sensing an animal, or my neighbor lighting up his room or a car’s headlights from the street? Another neighbor takes a shower and the pipes shudder and shake the walls as he turns off the water. My cats are restless. They rattle the blinds trying to see into the night, jump on and off my bed several times before finally settling in. Yes, settling in. It takes awhile. I do not believe in ghosts or anything supernatural. Nevertheless, ghosts can exist in our imagination, especially when we move into new homes. They can be remnants of what we imagine happened here – or even what we know happened here. I happen to know that the last occupant lost her job and her dog. She also found a dead cat on this front lawn, which I saw too while out walking. Did her dreams of joy drift away and leave the ghosts of sadness? Or the opposite. Did joyous people live here – circus performers, artists, singers, dancers, cooks? Their laughter and creativity remain. Or maybe my new house is purged of ghosts and I can bring my own. 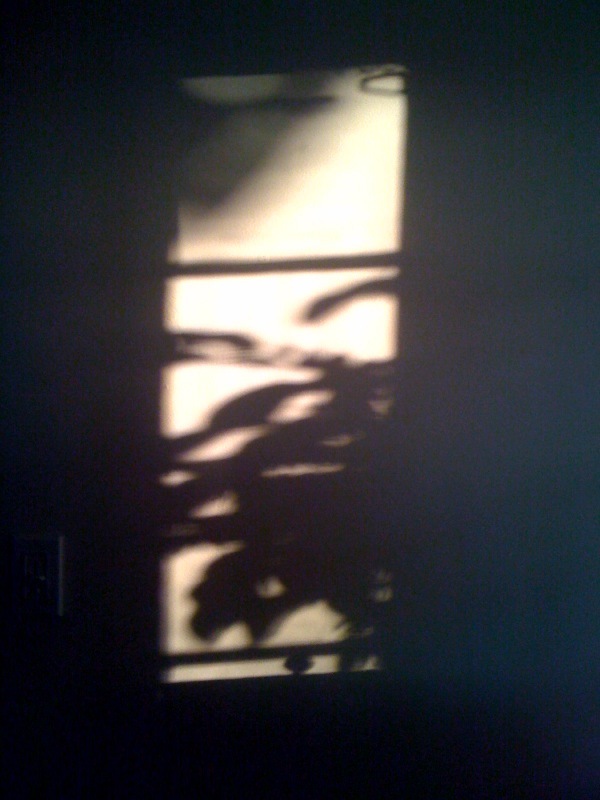 What is that dream taunting me outside the window after the sun goes down and before it comes up again? 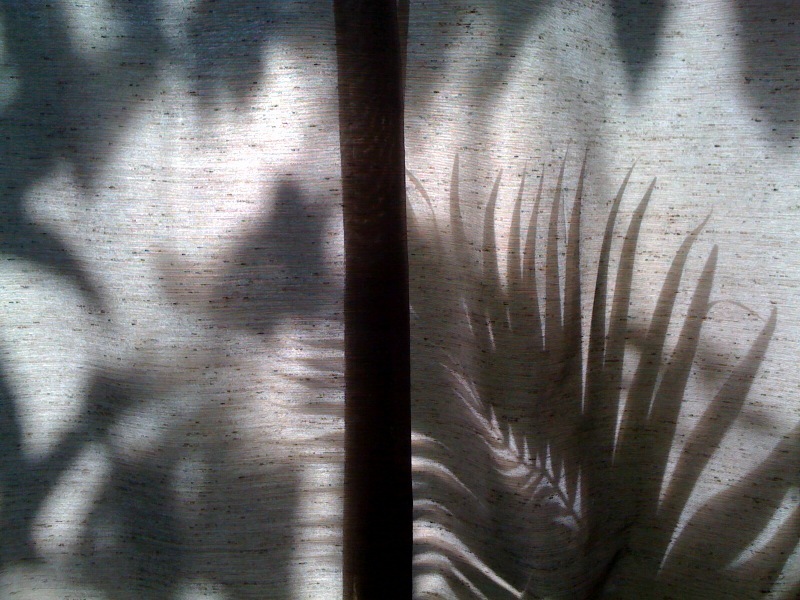 What is that shadow on the wall – branches and leaves reaching toward me with a warning, or an embrace? Nice pictures and descriptions of those sounds and sights which are so distinctive before they fade into familiarity. .